The last issue of Forum+ features an article written by our own Veerle Spronck. Veerle wrote about drawing as a method for reflection, based on Dear Hunter’s research studio ‘Drawing Instruments’. 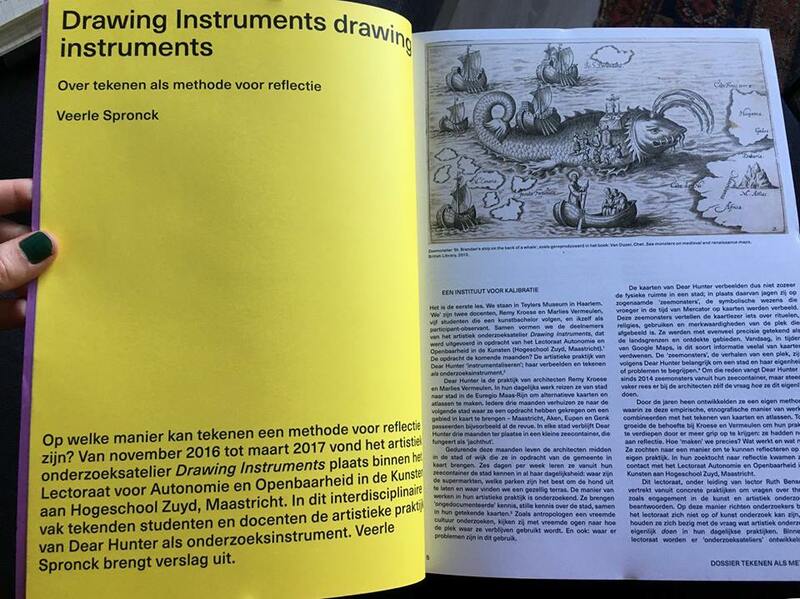 You can find the whole article (in Dutch) over here: http://www.forum-online.be/nummers/lente-2019/drawing-instruments-drawing-instruments. FORUM+ is a journal for Research and Arts in Belgium and the Netherlands. The journal explores the latest trends in research in the arts, which is gaining importance in higher arts education in Flanders and the Netherlands. FORUM+ stimulates the dialogue between research in the arts, critical reflection and the social context in which it is established: this way the journal offers a platform for creative approaches and critical reflections on our world.